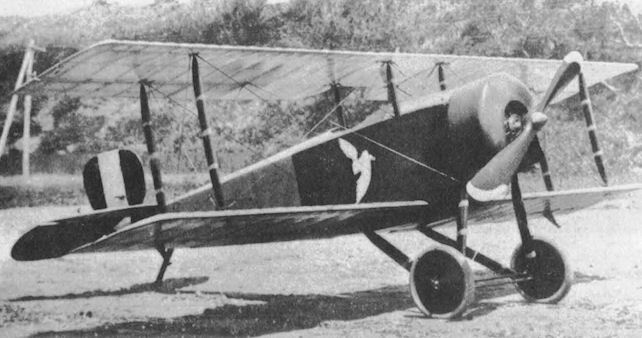 Nakajima Army Type Ko 2 Trainer, a Japanese-produced Nieuport 83 E.2. 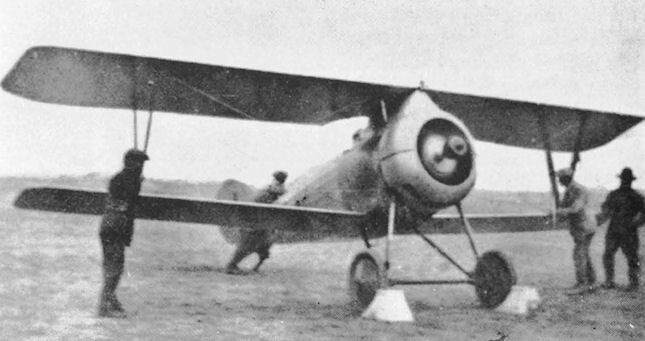 Nakajima Army Type Ko 3 Fighter/Trainer of the Nieuport 24.C1 design. 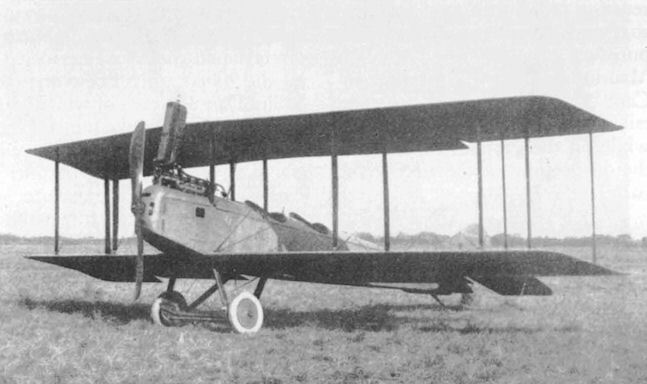 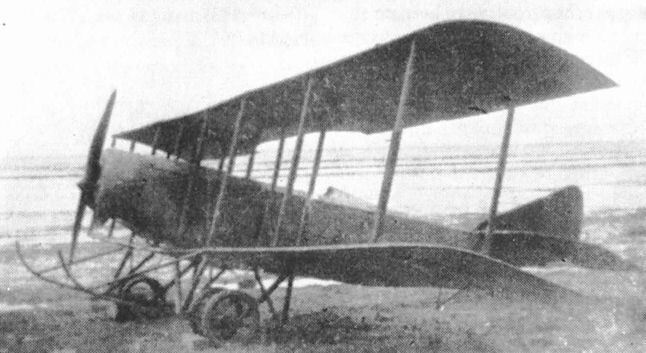 Nakajima Army Type Ko 3 Fighter converted for civil use with fuel tank under the upper wing for the November 1922 Tokyo-Osaka mail flight competition. 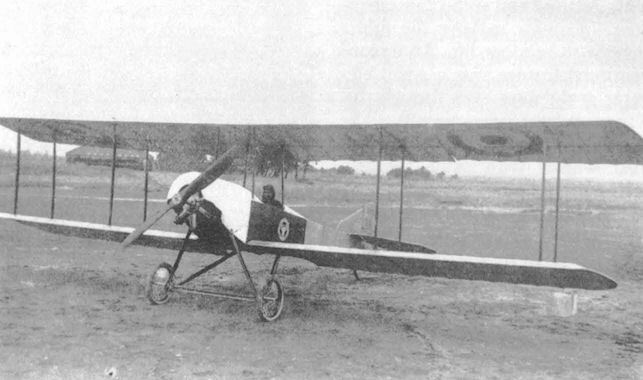 Japanese Navy Avro 504L Land-based Trainer. 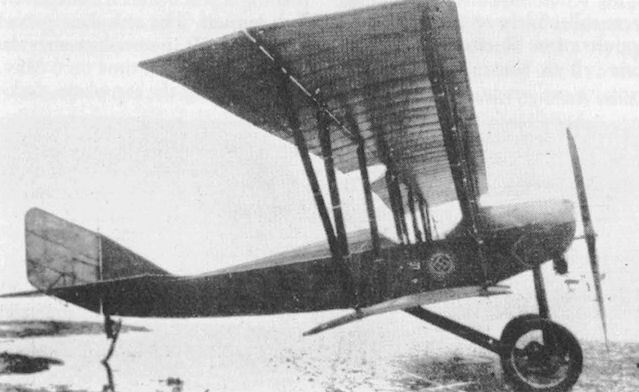 Nakajima Navy Avro 504 Trainer. 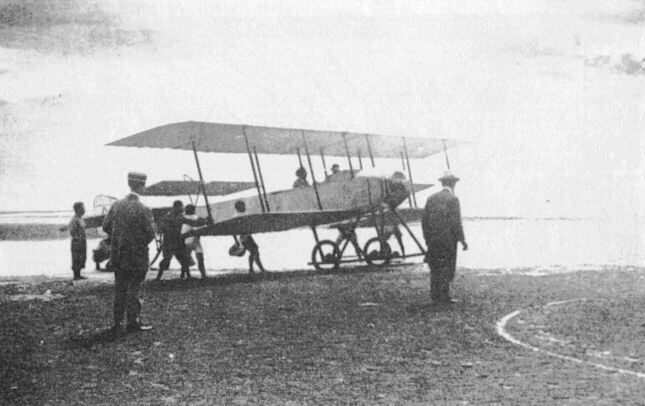 Navy Avro 504S Seaplane Trainer. 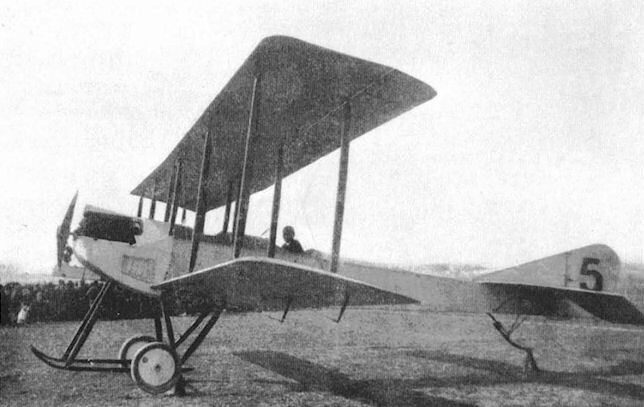 Kawasaki Army Type Otsu 1 Reconnaissance Aircraft, adapted from the French Salmson 2-A.2. 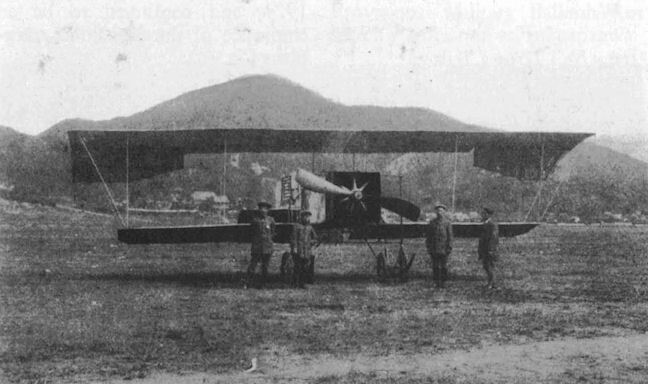 An Army Type Otsu 1 with Japanese markings. 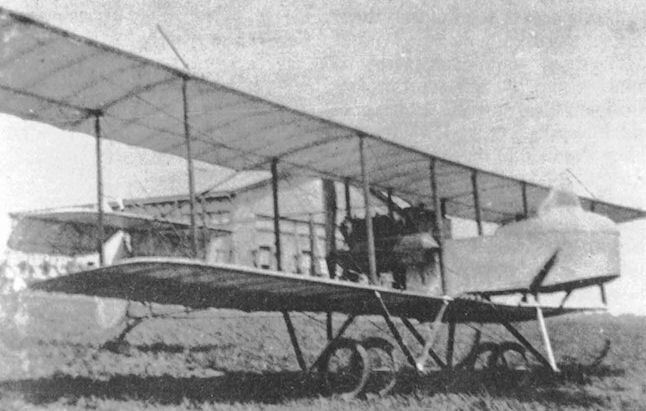 Army Henri Farman Type Model 4 Aeroplane. 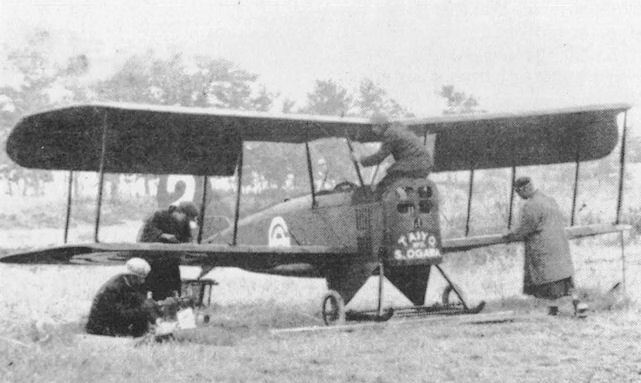 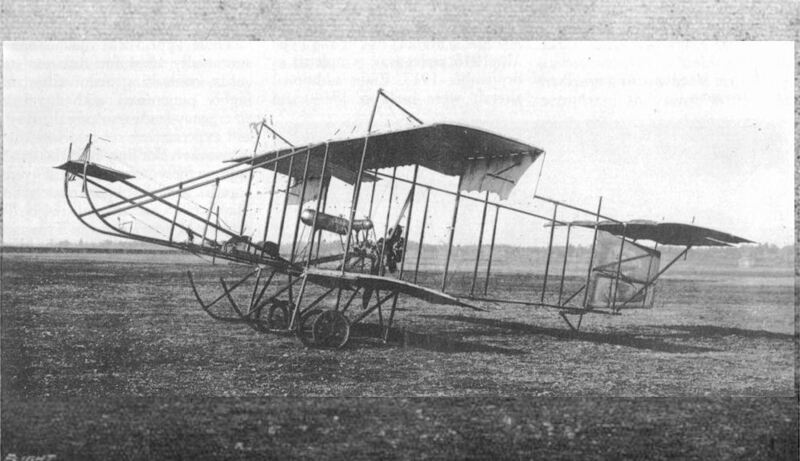 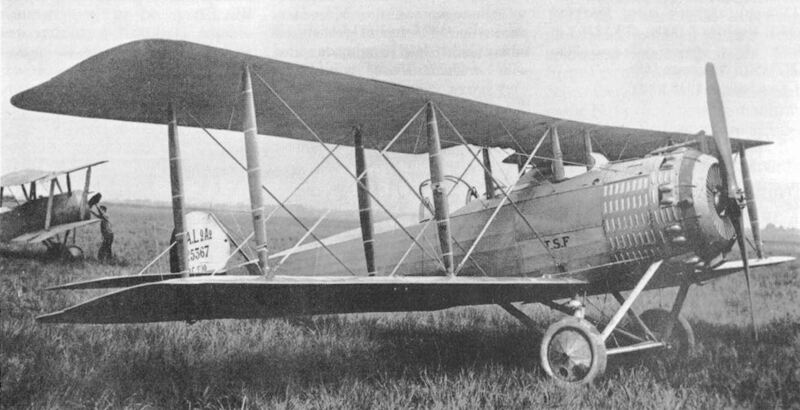 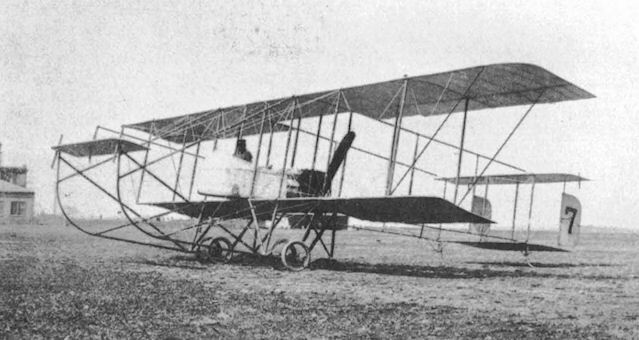 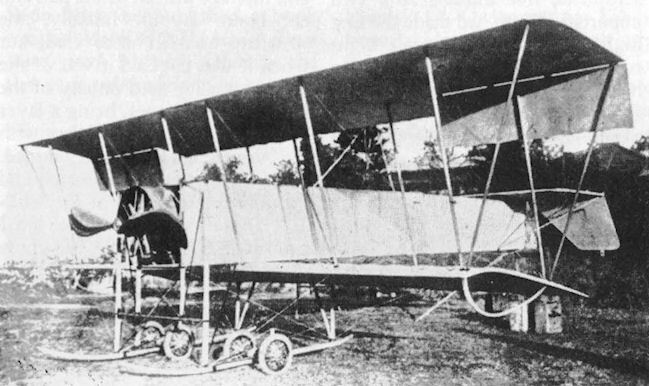 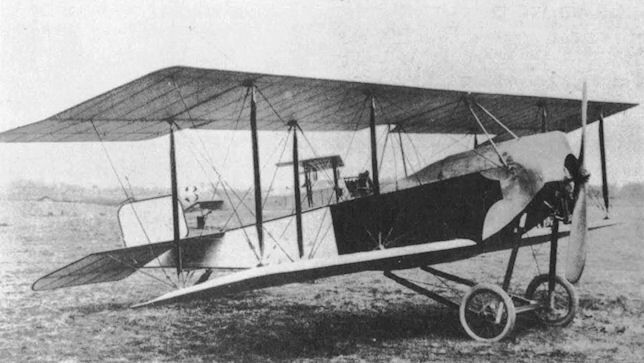 Army Maurice Farman Type Model 6 Aeroplane. 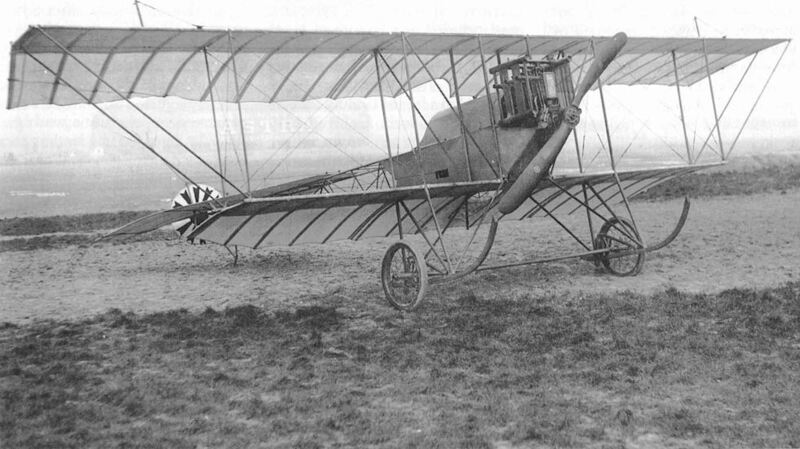 Sole survivor of the Army Maurice Farman Type Model 6 Aeroplane is No. 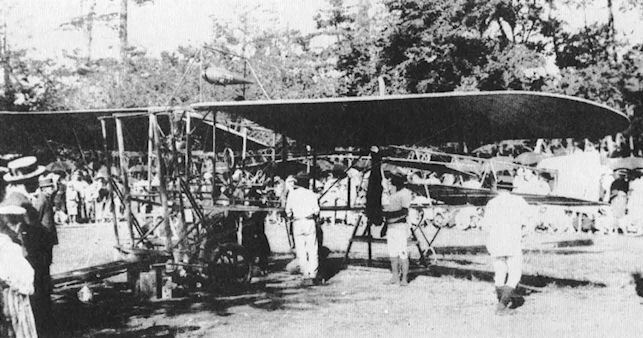 266 which is now in the Yasukuni Shrine. 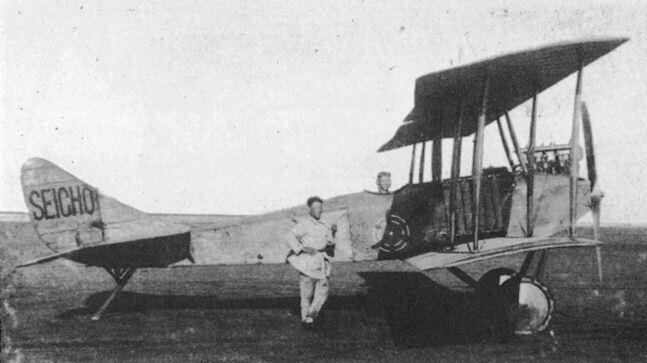 Yokosho Navy Short Reconnaisance Seaplane. 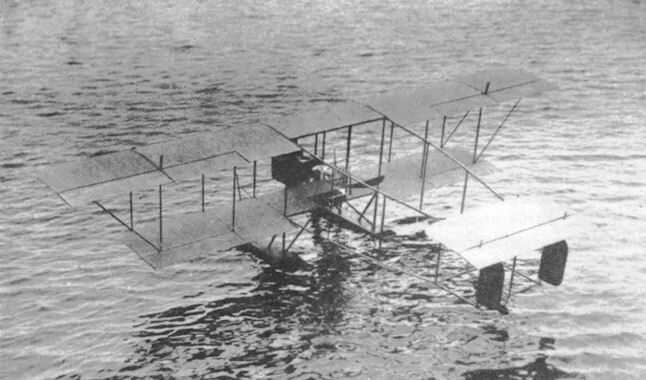 Yokosho Navy Ha-go Small Seaplane. 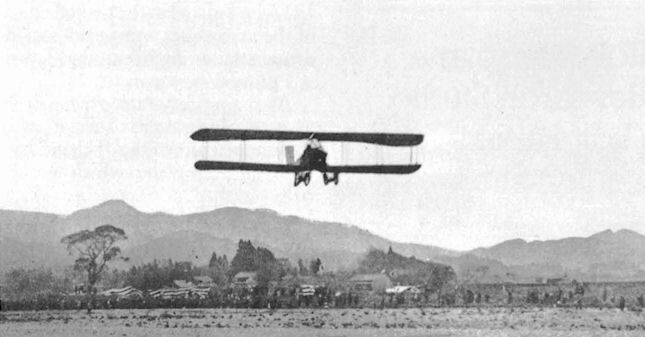 The first flight of an aeroplane in Japan took place on 19 December, 1910, piloted by Capt Yoshitoshi Tokugawa. 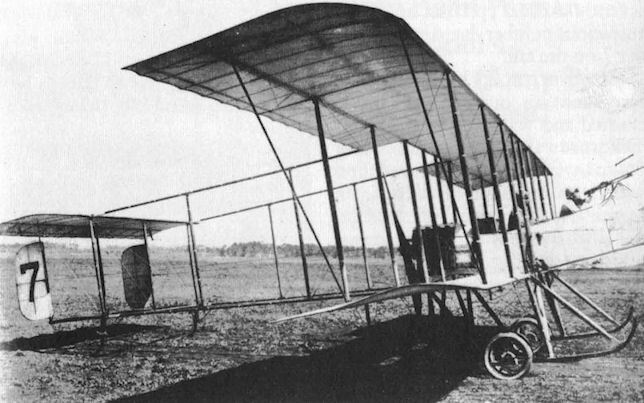 The aeroplane was an imported Henri Farman biplane. 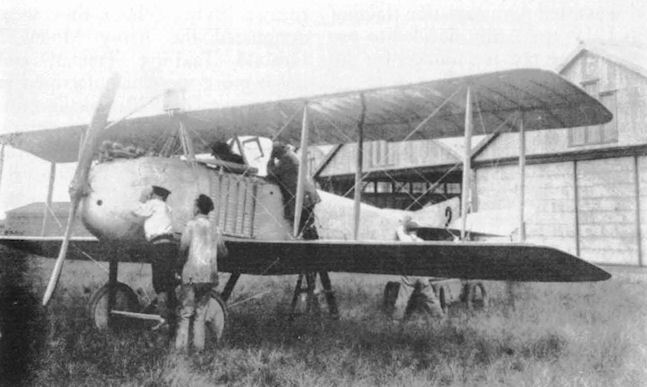 Nakajima Army Type Ko 4 Fighter, a licence-produced Nieuport 29-C-1. 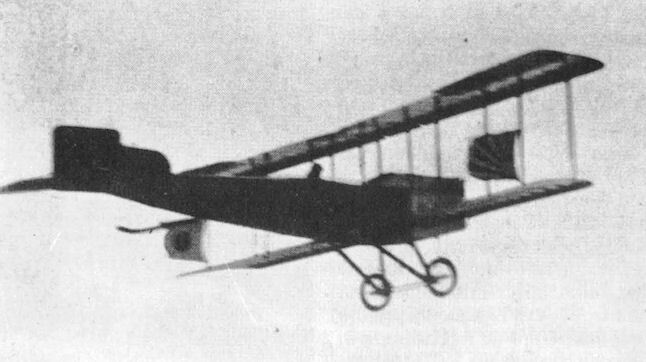 A rare inflight view of a Nakajima Army Type Ko 4 Fighter. 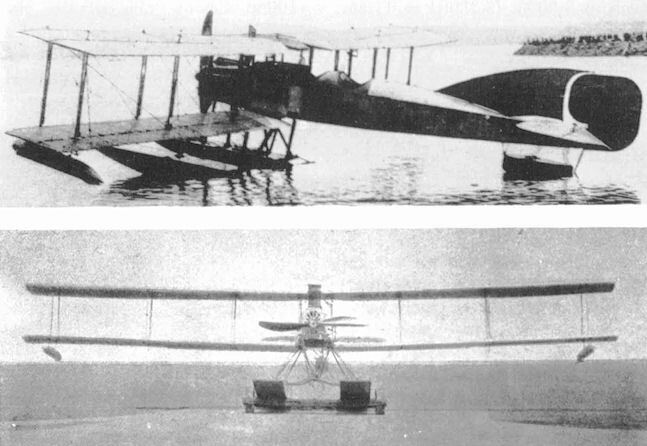 Navy Type Hansa Reconnaissance Seaplane. 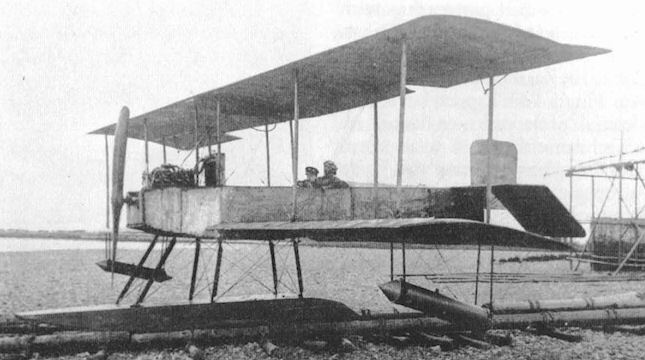 Yokosho Navy Type Ka Seaplane. 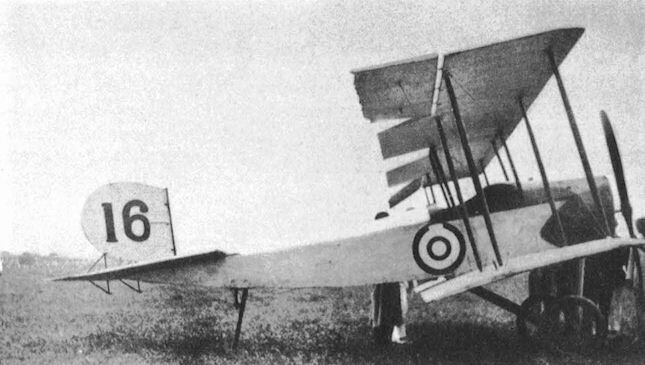 Oguri-Curtiss Jenny Trainer with a Japanese flag on an outer wing strut. 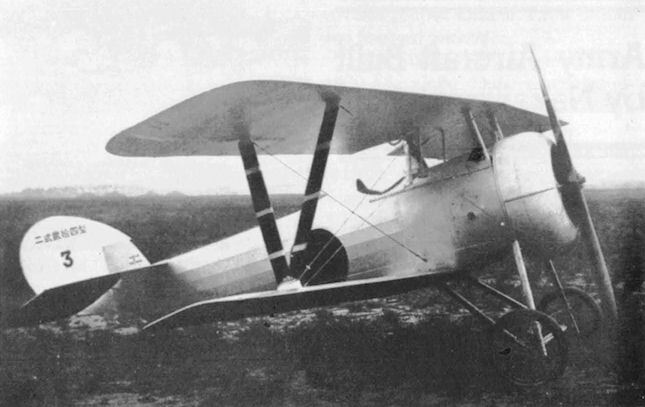 The Standard H-3 Trainer was a Japanese-built copy of a United States Army trainer. 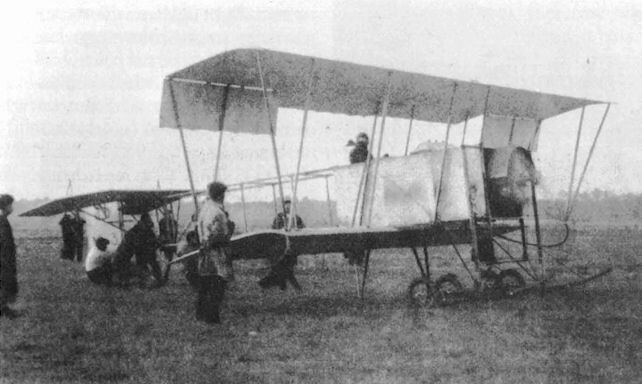 Army Type Mo (Maurice Farman Type) 1913 Aeroplane. 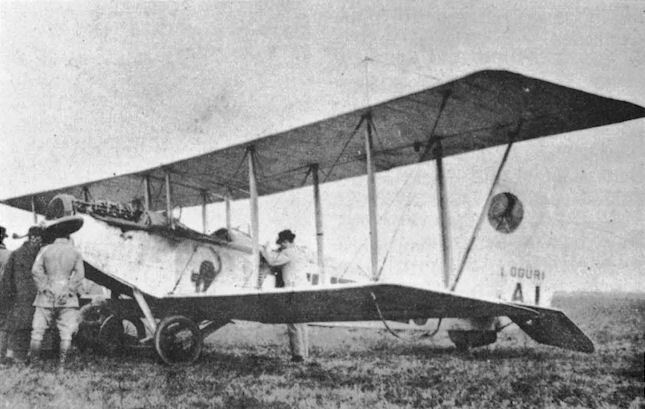 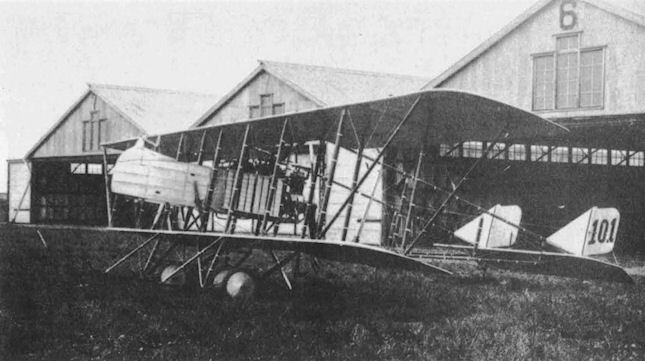 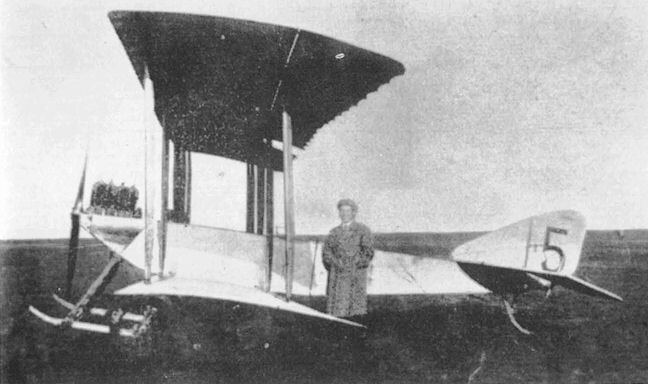 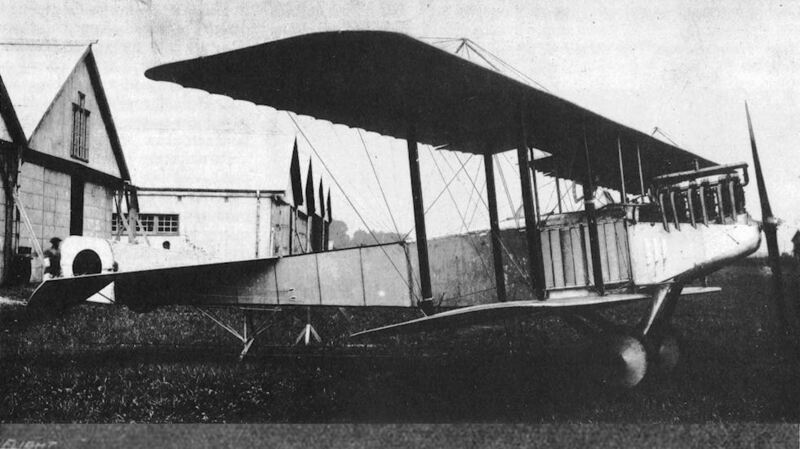 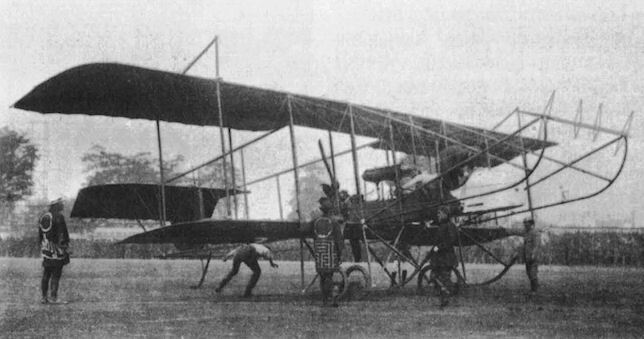 Converted Type Mo (Maurice Farman Type) Aeroplane. 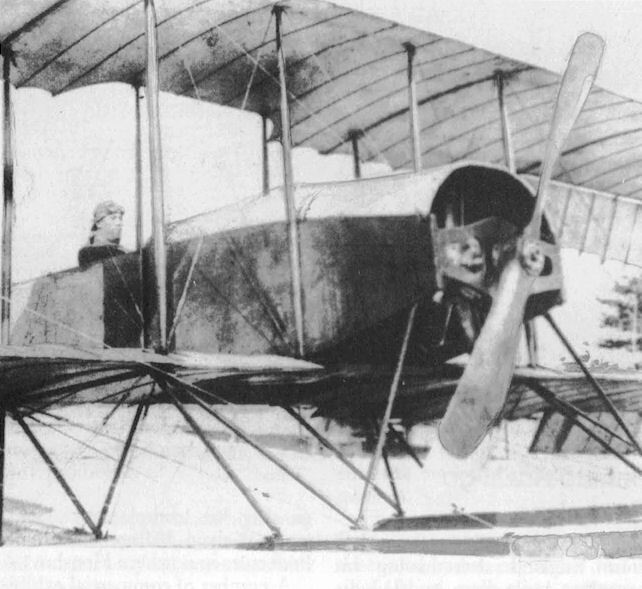 Yokosho Navy Type Mo Small Seaplane. 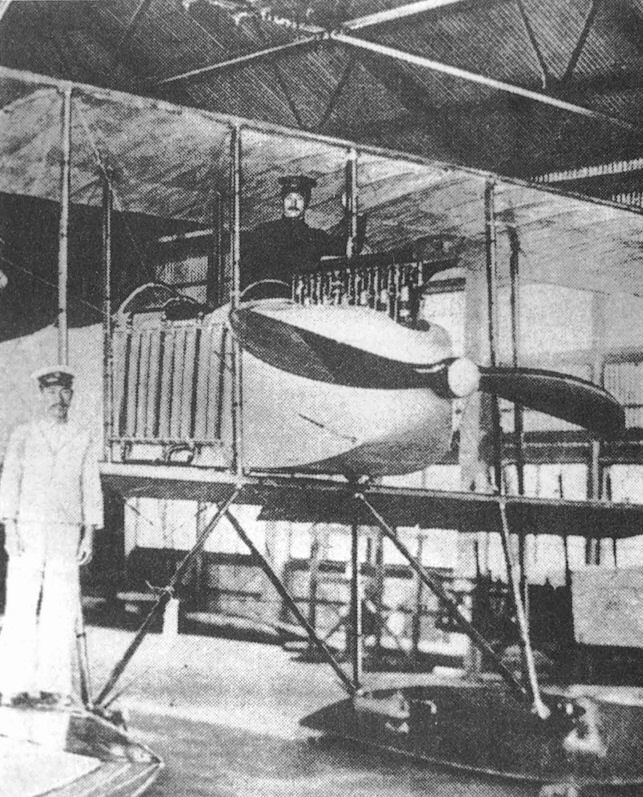 Yokosho Navy Type Mo Large Seaplane. 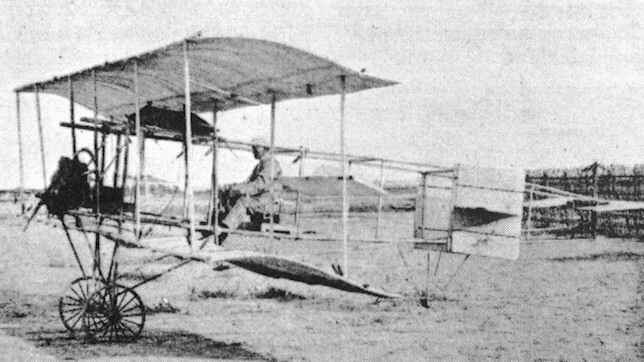 Aviation in Japan. - Capt. 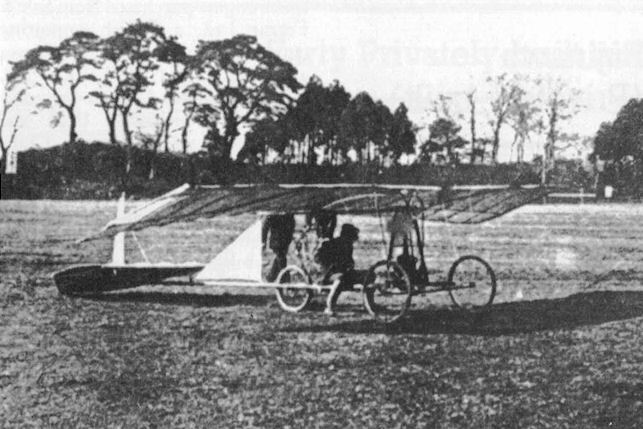 Tokugaw's training machine at the Tokorozawa Aerodrome. 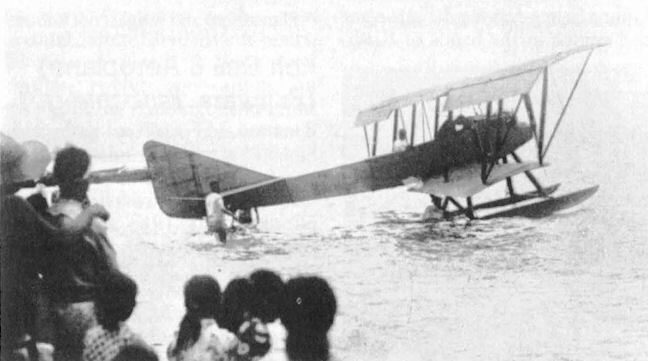 Navy Yokosho Ro-go Ko-gata Reconnaissance Seaplane with Hispano-Suiza E engine. 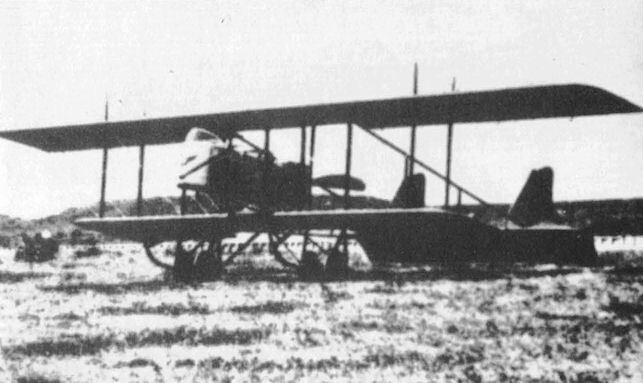 Navy Yokosho Ro-go Ko-gata Reconnaissance Seaplane with Salmson engine used on early models. 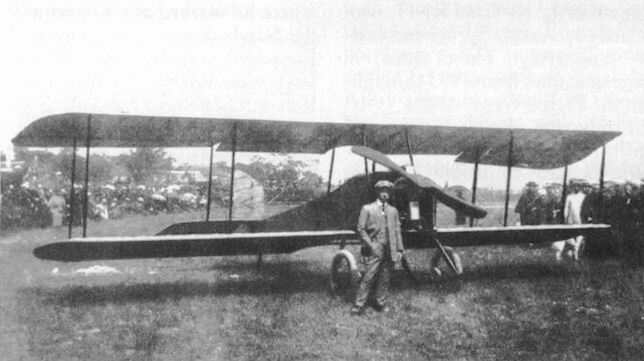 Aviation in Japan. 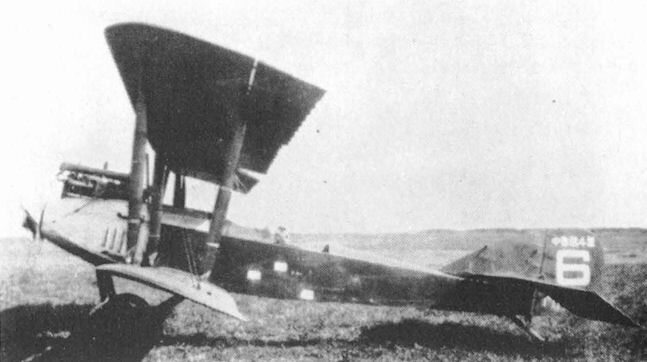 - Side view of a Japanese military tractor biplane. 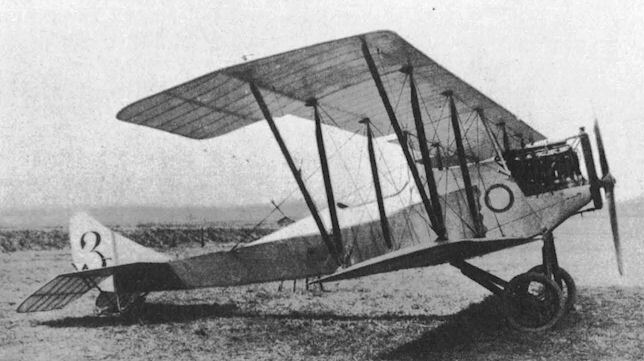 This view of the Nakajima Type 3 Biplane shows the wide span and deep gap. 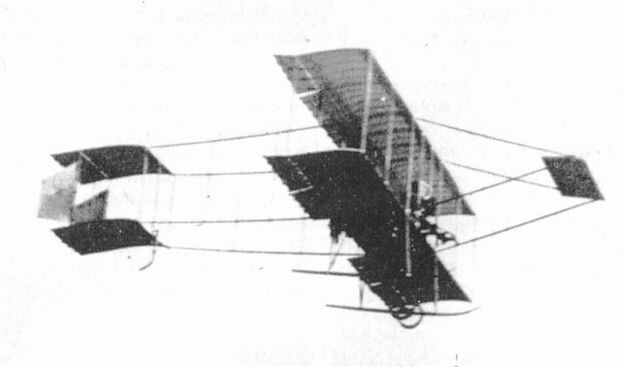 This scale model of an aircraft shows the modern concept as envisioned in 1891 by Kazuhachi Ninomiya. 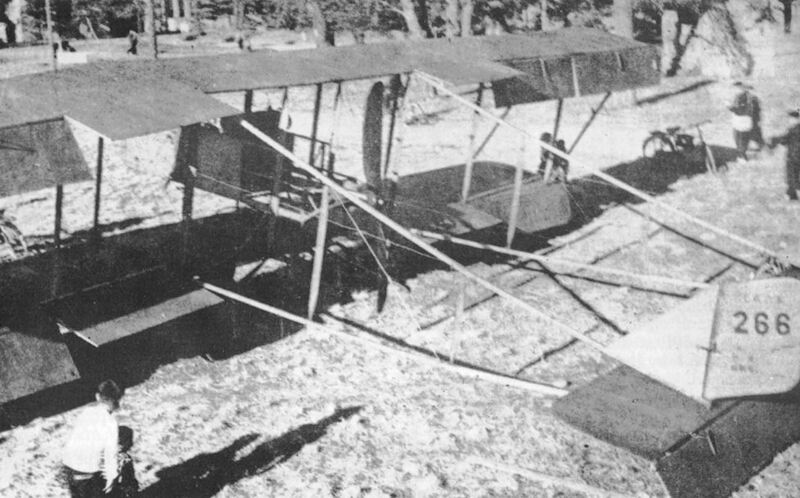 This rubber-powered model flew 10m, but Japanese officials were not impressed with this proof of concept of flight. 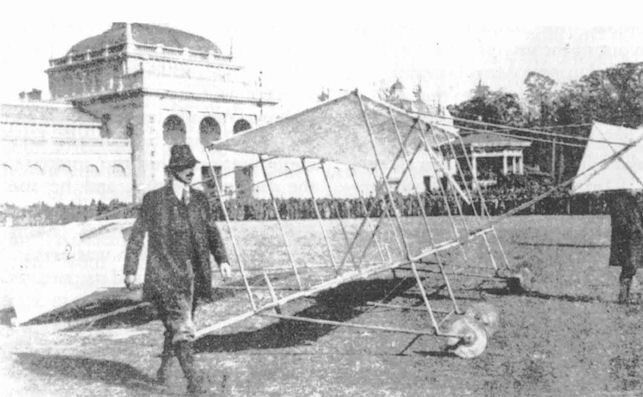 The first gliding flights in Japan was made by this bamboo-frame glider in December 1909 at Ueno Park, Tokyo, a year in advance of the first powered flight in Japan. 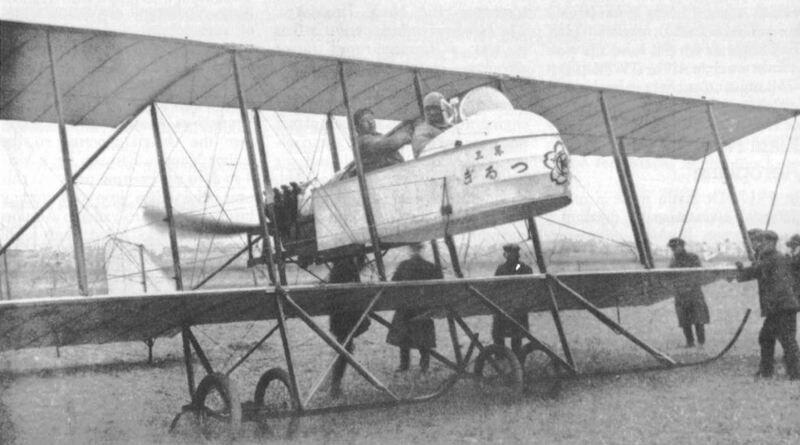 Awazu No.2 Seicho-go Aeroplane. 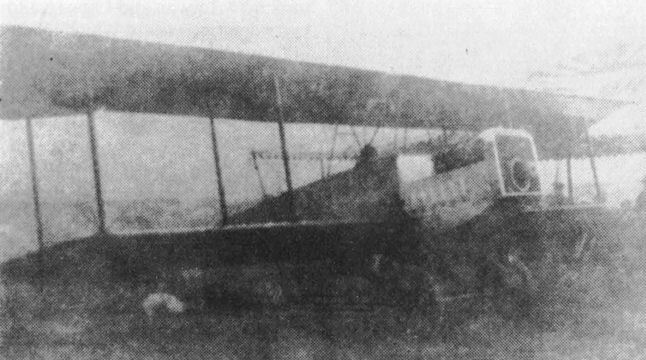 Seicho on the tail means Bluebird. 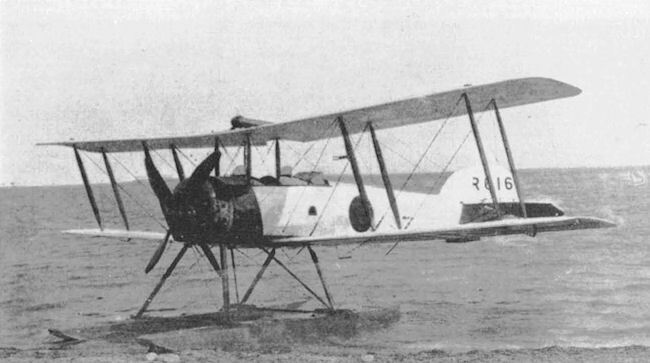 Hino No.3 Aeroplane equipped with floats and called Hino No.3 kai or No.4 Kamikaze-go. 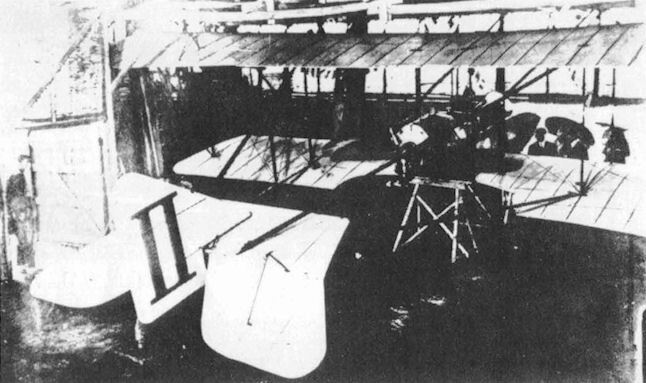 Although of very poor quality, this rare photograph gives some idea of the layout of the Isobe No.2 Aeroplane. 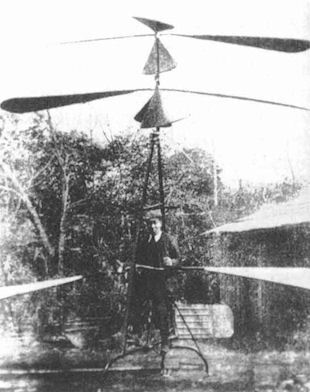 Maruoka Man-powered Screw Wing Machine. 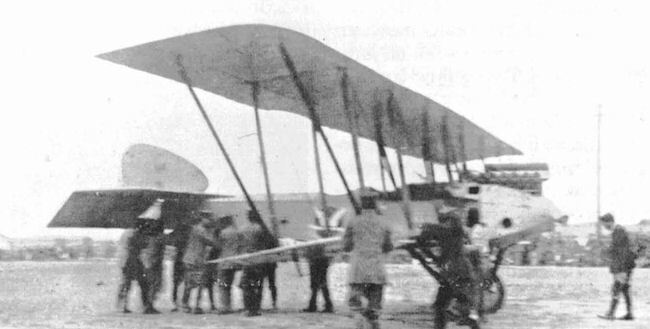 Narahara No.3 Aeroplane after the entire fuselage was covered. 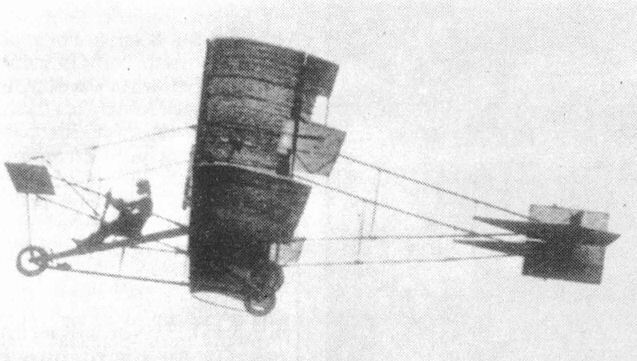 This view of the Narahara No.4 Ohtori-go shows the drooped ailerons. 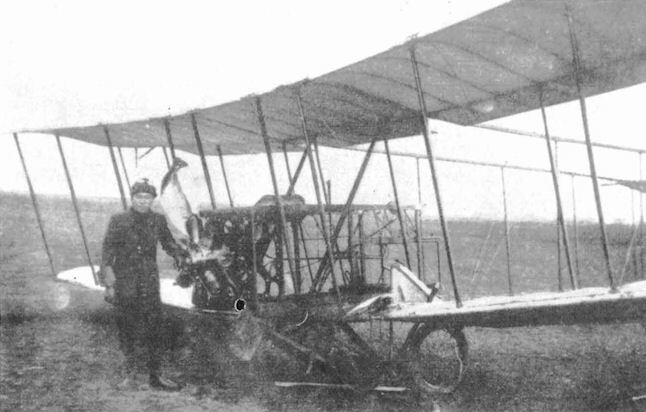 Shigeno Wakadori-go at Issy-les-Moulineaux, France, 29 January, 1912, when equipped with Gregoire-Gyp 50hp engine. 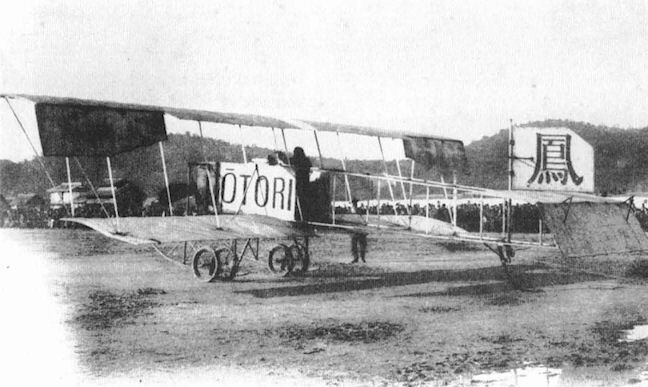 Sakamoto No.6 Aeroplane with Japanese flags flying from the outer struts. 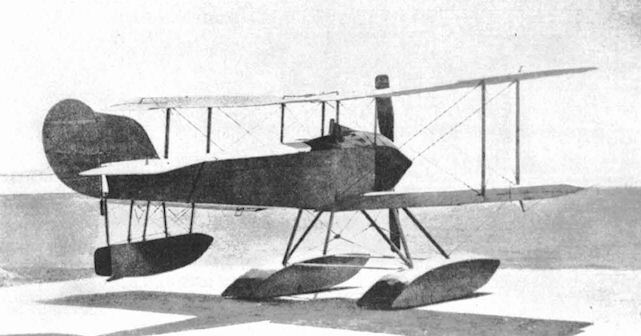 Tamai No.1 Seaplane, reconfigured with wheels. 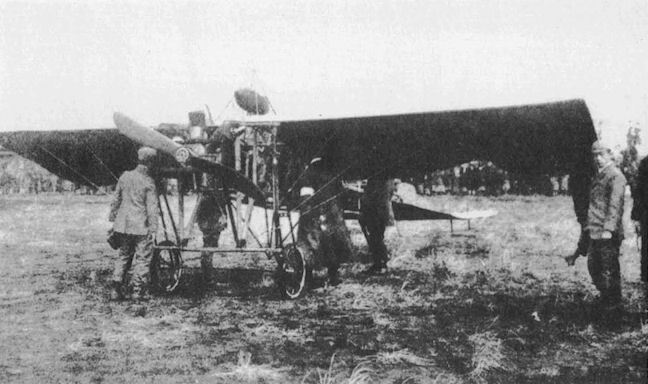 Tsuzuku No.1 Aeroplane with chain-driven twin-pusher propellers. 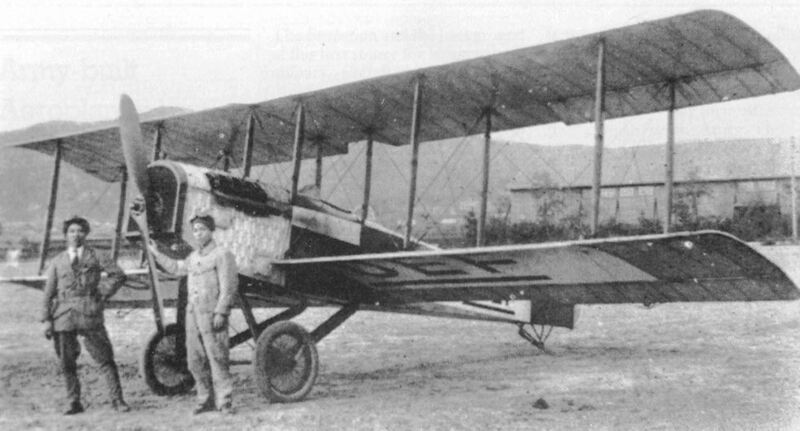 Itoh Emi 6 Aeroplane, also known as the Fujiwara Tsubame-go. 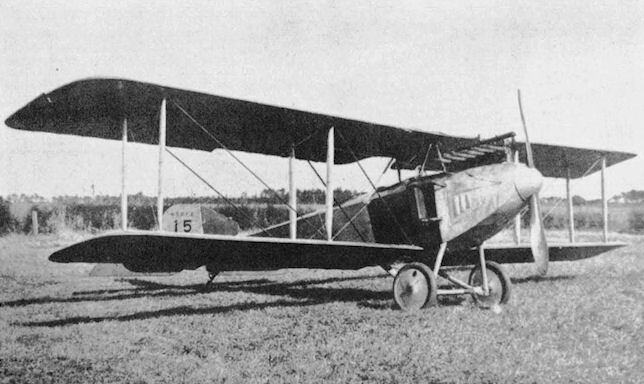 This view of the Eьi 9 shows the side radiator. 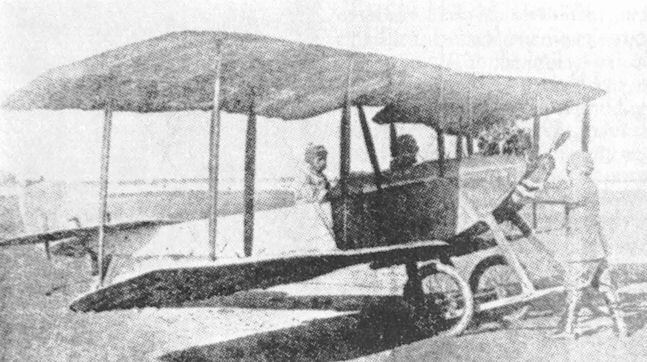 Itoh Tsurubane No.2 Aerobatic Aeroplane. 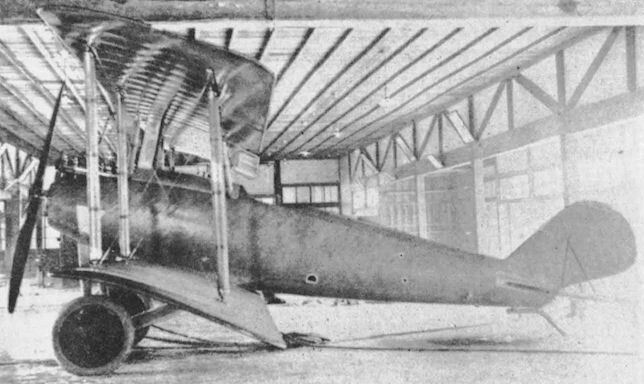 This view of the Nakajima Type 5 Trainer shows the tail more clearly. 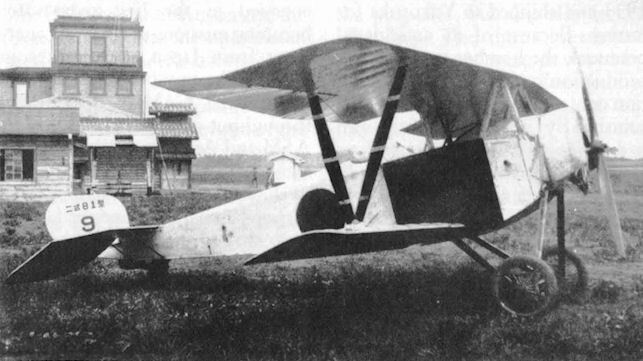 Shirato Takeru-go Aeroplane, also known as the Tamura Tractor and Ichimori Tractor. 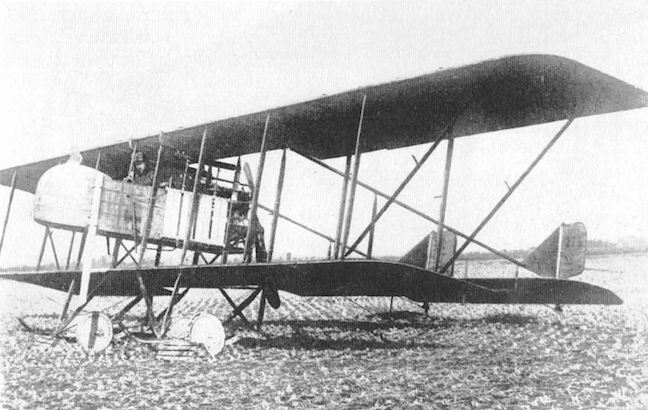 Shirato Kaoru-go (Shirato 16) Aeroplane after modification. 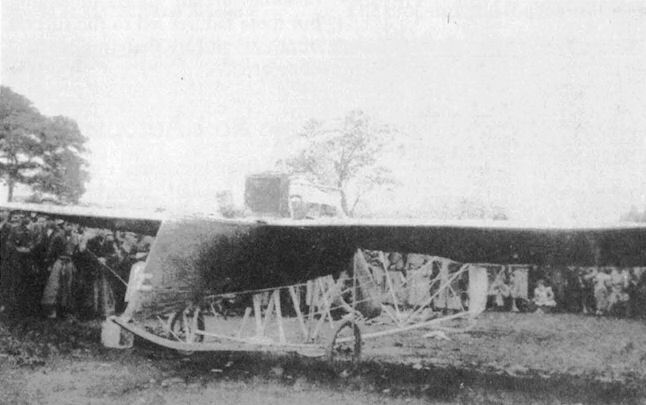 Experimental Yokosho Nakajima Tractor Seaplane. 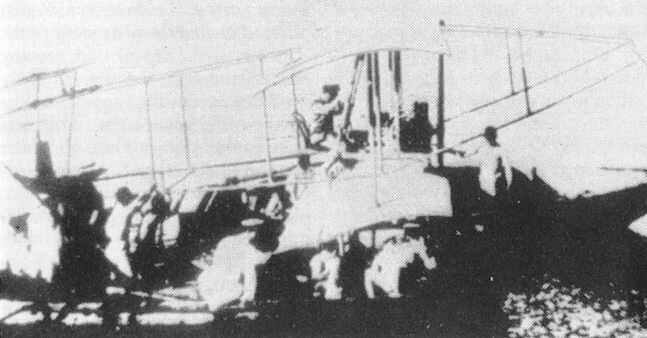 Experimental Yokosho No-go Otsu-gata Seaplane. 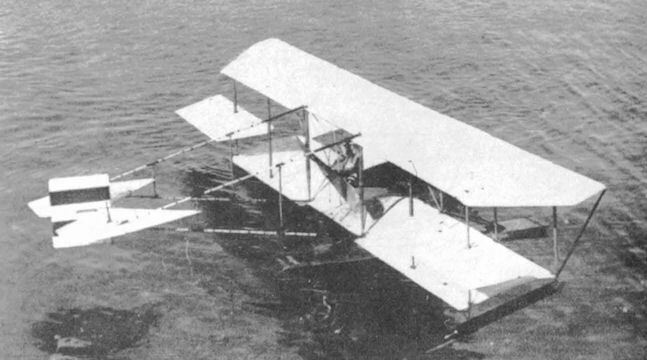 Experimental Yokosho Ho-go Small Seaplane.